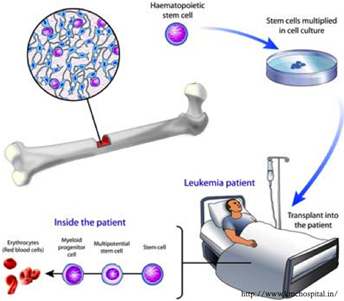 The use of iPSCs to generate hematopoietic stem/progenitor cells (HSPC) is of considerable therapeutic interest, as allogeneic HSPC transplantation is limited by the lack of compatible donors, a high risk of engraftment failure and GVHD. Efficacy and safety assessments are required and non-human primates (NHP) are the most appropriate animal model for preclinical validation. We generated and characterized Macaca cynomolgus iPSCs (cy-iPSCs). We assessed their capacity to differentiate in vitro, in the presence of hematopoietic cytokines, and determined the molecular signature triggered during hematopoietic differentiation. We then investigated cy-iPSC-derived hematopoietic cell engraftment in NSG mice, an essential step before the scaling up of hematopoietic cell production for autologous transplantation in monkeys.